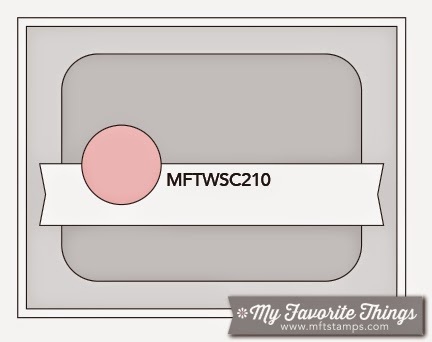 So Many Stamps So Little Time: My Favorite Things Sketch Challenge #210 Take Two! My Favorite Things Sketch Challenge #210 Take Two! I must say there are SO MANY amazing cards in the gallery this week! To create my card I used the ADORABLE Miss Tina set "Cute Critters". I also used Blueprints 14. I am hooked on the Blueprints Die-namics die collections! They make building a card SO easy. I am happy you stopped by, and I hope you will play along with us this week at the MFT Sketch Challenge! Oh my word. I can't EVEN with the overwhelming cuteness of this!! FAB colors and I LOVE how you rocked the sketch too!! LOVE!